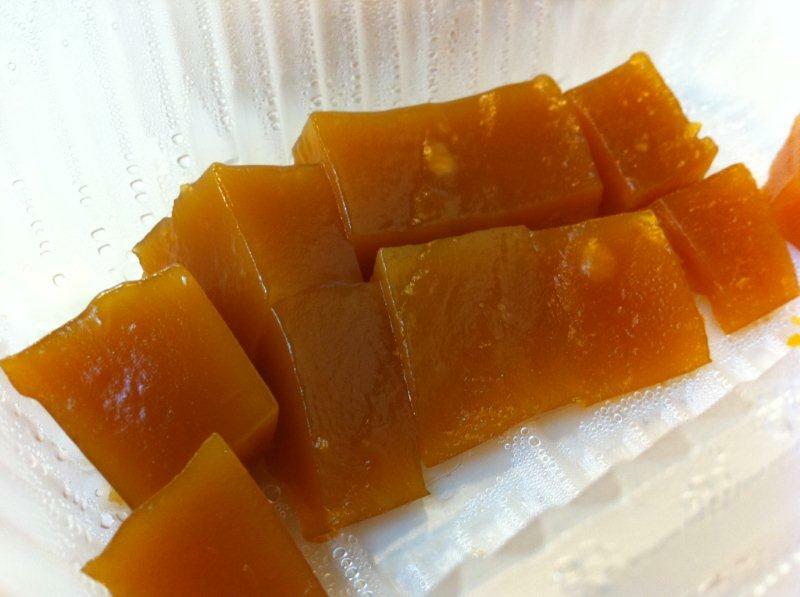 Usually I don’t write twice about a place but because of the upcoming Chinese New Year, and since I’m gonna miss it in my home country Singapore, I’ve decided to write about traditional new year cakes eaten in HK and some can be found in Singapore as well. 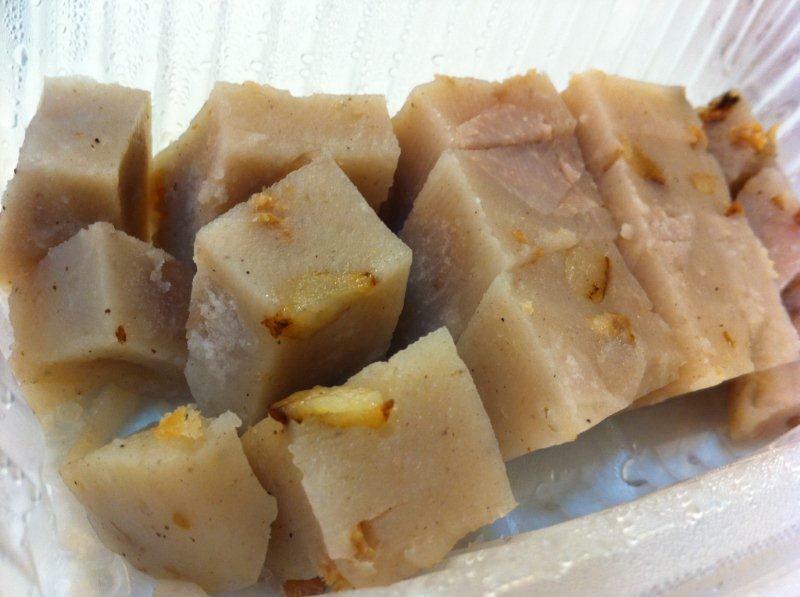 Yam Cake or Wu Tao Kou. 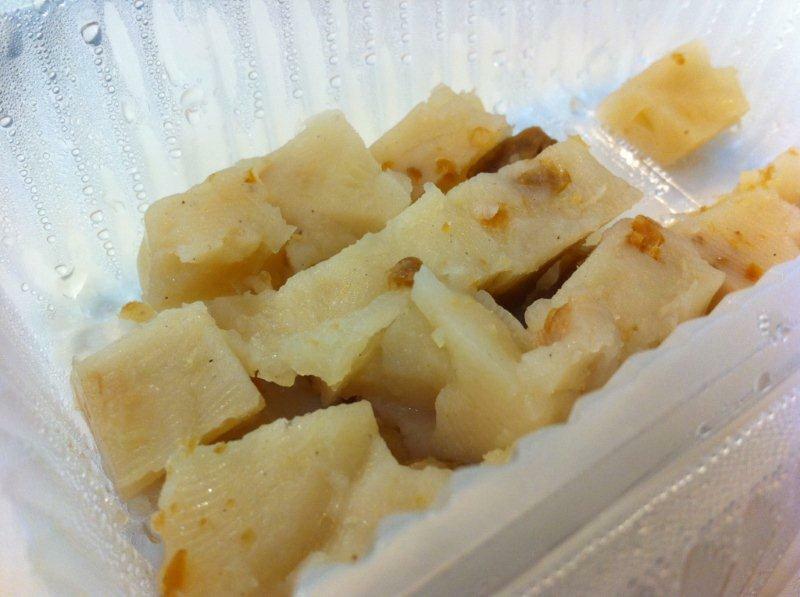 The ones in HK has a lot of yam and the same ingredients as those of the carrot cake. This one is yammy yummy. New Year Cake Or Nin Kou. The difference between HK and SG ones are that HK ones have some coconut flavouring inside. It gives it a nicer aroma definitely. Not very sweet this one and is nice, soft and chewy. 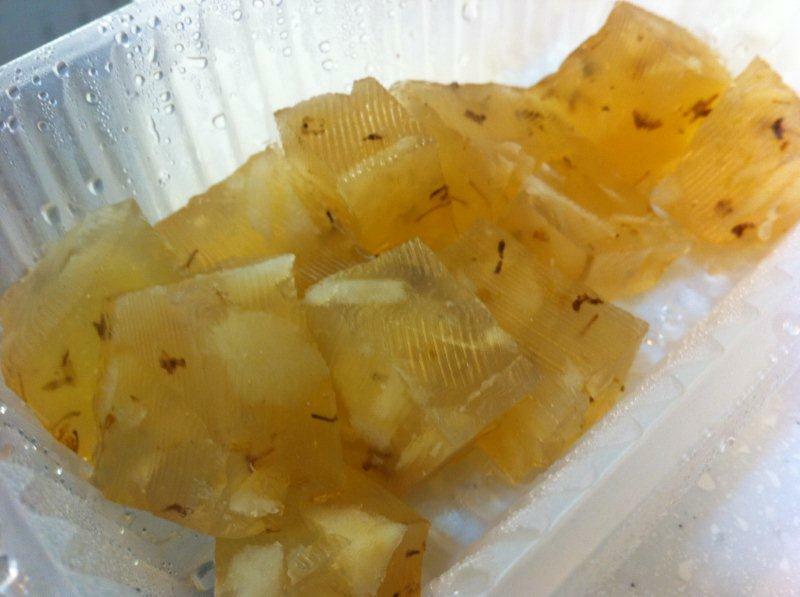 Water Chestnut Cake or Ma Tai Gou. Nice soft and refreshing. I didn't really like it cos I still prefer it cold. This was served hot. 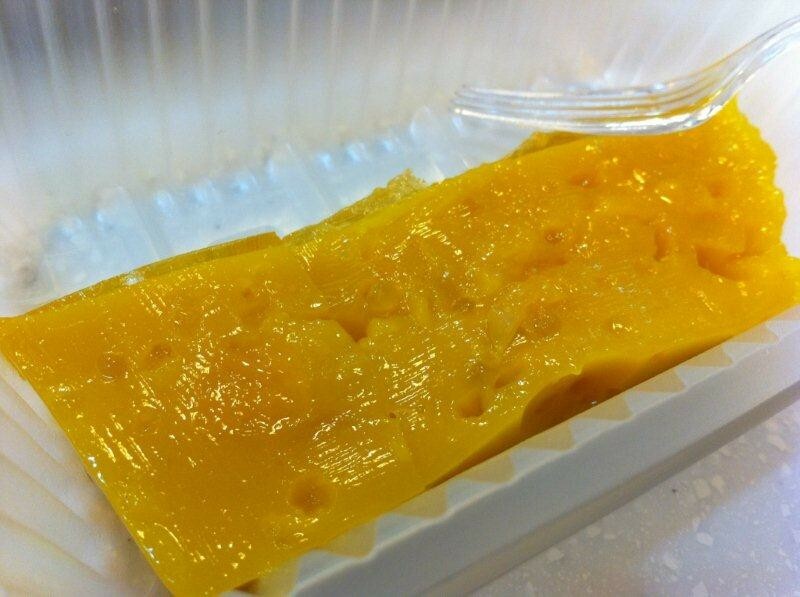 Mango Pomelo Dessert Cake or Yong Chi Kam Lou Kou. A famous dessert made into a pudding cake. I still prefer their drink version instead of this although this cost more than the 4 items above. 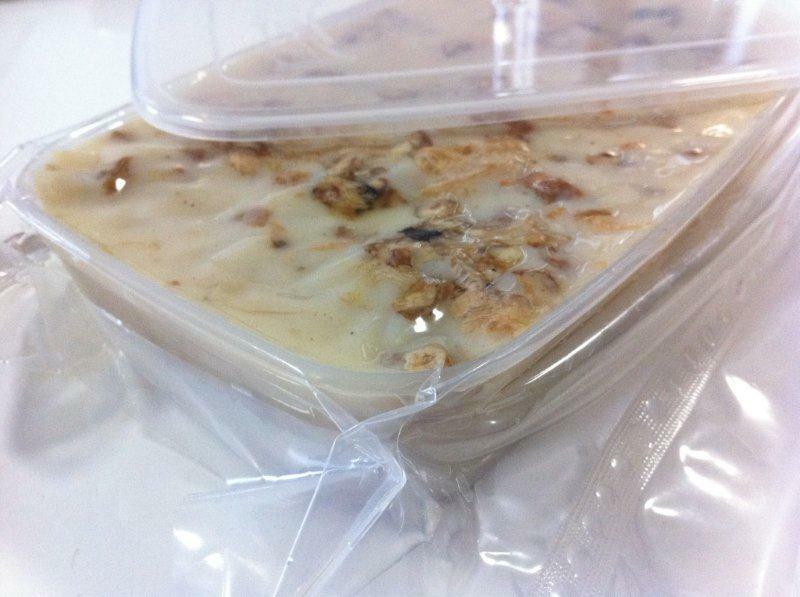 Takeaway pack which was made in a hard container which you can recycle for keeping food. Not a bad idea after all. Rating: 4.5/5. Service is tops! Location: Lok Ma Chau MTR station, Hong Kong.